Over time, Skilled Nursing Care centers, like all areas of health care, have advanced in terms of clinical practices, resident rights, quality improvement, and the overall approach to the needs and wants of residents and patients. Yet, even today, many misperceptions about nursing homes persist, professionally called Skilled Nursing Care centers. Separating fact from fiction will help you stay open to all of your care options. Myth: Nursing and post-acute care centers are like hospitals. Fact: While Skilled Nursing and post-acute care centers do offer in-depth medical care, they are very different from hospitals. Today’s centers offer home-like comforts and a less-structured atmosphere. They promote autonomy and choice, and offer a variety of services, social activities and recreational opportunities. Residents can customize their daily routine, and are encouraged to continue social activities and personal interests. Skilled Nursing Care centers are resident- and community-focused. Dining rooms, activities, outings and companionship offer residents and patients mental, physical and social stimulation. Myth: Skilled Nursing Care center patients never leave or go out on trips. 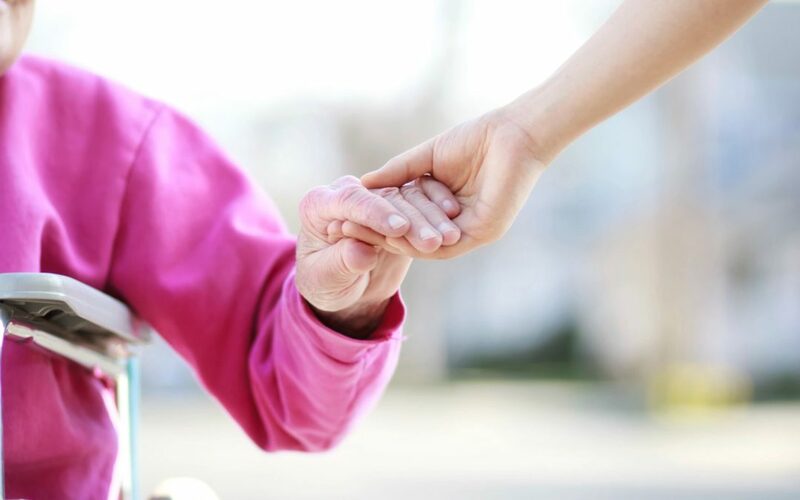 Fact: Skilled Nursing Care centers care for a variety of patients, each with different needs. Some will stay only for a month recovering from an injury or illness; other patients, like those with serious medical conditions, might require a lengthier stay of a year or more. On average, one of four people being cared for in a Skilled Nursing Care center will stay less than three months. And more than 1.7 million individuals each year get the rehabilitative care they need in a Skilled Nursing Care center. Every day, Skilled Nursing Care centers are helping residents achieve their highest potential. For many residents, reaching that goal means they are able to leave the center for an outing or to visit loved ones or friends. Myth: Skilled Nursing Care center patients seem confused.Fact: As people age, many slow down physically, get tired more easily, or are not able to express themselves as well as they once did. These tendencies are normal and expected. Keep in mind many Skilled Nursing Care center residents are 85 years of age or older. A large number of Skilled Nursing Care center residents has Alzheimer’s disease, a form of dementia that affects memory, thinking and other mental abilities. Centers take into account each person’s specific needs. By providing professional, compassionate care, appropriate nutrition, exercise, social stimulation and controlled medication, Skilled Nursing Care centers often help a person “stabilize” and become their old self again. Myth: There’s no privacy in a Skilled Nursing Care center.Fact: Skilled Nursing Care centers strike a keen balance between privacy and a safe, secure environment. Residents’ rooms are considered private, while common areas are generally open. Staff members respect patient privacy and show common courtesy, such as knocking before entering the room. Visitors should follow the same practice. Myth: Residents cannot make their own decisions. Fact: It is a resident’s legal right to make choices regarding activities, daily routines, health care and other aspects of life. The center’s responsibility is to provide an environment where residents can live together safely and harmoniously. While this sometimes requires a balancing act, centers’ over-arching goals involve respecting residents’ rights and preferences and providing quality care in a supportive environment. Resident councils provide residents a say in care. These self-governing bodies of residents voice concerns to staff and to one another. Residents are also encouraged to prepare advance directives to specify and safeguard care preferences in the event they are unable to express their wishes. Myth: Skilled Nursing Care centers have unpleasant odors.Fact: Today’s Skilled Nursing Care centers should not have persistent odors. Because some patients are incontinent, an occasional odor may be noticeable, especially in the morning, but should not linger. Myth: Skilled Nursing Care centers are unreasonably expensive. Fact: Long term and post-hospital care costs vary, depending upon the level of care provided and where the center is located. Overall, Skilled Nursing Care centers represent the lowest cost setting for 24-hour professional skilled nursing and rehabilitative care for both short and long term stays. According to the 2011 Cost of Care Survey of Home Care Providers, Adult Day Health Care Facilities, Assisted Living Facilities and Nursing Homes from Genworth Financial, the national median daily rate for Skilled Nursing Care is $193 per day for a semi-private room and $219 per day for a private room (vs. $1,797 average per day in a hospital*). The daily cost covers 24/7 comprehensive professional medical and personal care, room, board and a full range of social activity programming. Myth: Skilled Nursing Care centers do not provide quality care.Fact: Skilled Nursing Care centers are operated by trained professionals who are committed to quality care. Shortly after admission, staff will hold a care plan meeting with residents and their loved ones to guide future care decisions. Active involvement in this process ensures quality care and greater satisfaction. In addition to government regulations and inspections, residents and loved ones can bring up any concerns with staff members or contact a long term care ombudsman. Myth: Residents are not visited regularly by family and friends.Fact: Busy schedules or distance might prevent loved ones from visiting as often as they’d like, but care providers do their best to encourage and facilitate frequent visits or in-person alternatives. Staff members often become surrogate family members and friends to residents. Myth: Meals are not appetizing.Fact: Home-cooked meals are tough to compete with, but Skilled Nursing Care centers do their best to provide tasty, nutritious meals. Everyone has different preferences, and low-salt, -fat, -cholesterol, or -sugar restrictions present limitations. Dietary managers are open to feedback, so discuss any concerns or suggestions you have with them. Myth: Patients are given too many medications.Fact: All medication use is reviewed by a consultant pharmacist. Residents and their loved ones are encouraged to participate in care planning meetings and raise any concerns about medication schedules. Every resident has the right to know what medications are administered, and to refuse as desired. Properly prescribed and administered medications can help manage pain and treat symptoms. Myth: Physical restraints and mechanical devices are common.Fact: Today’s Skilled Nursing Care centers, commonly known as nursing homes, are vastly different from those of decades past. Physical restraint has, in many cases, been totally eliminated. Mechanical devices may be used, by physician order, to treat medical symptoms. For example, post-stroke treatment might include mechanical devices to help a patient balance when sitting. They might also be used for therapy or to allow participation in social activities. Usage is federally regulated and professionally supervised. Talk with center staff about questions or concerns. Myth: Medicare or health insurance will pay for a long stay.Fact: Many people mistakenly assume that Medicare or health insurance will cover long term care costs. Medicare does not provide a comprehensive long term care component. If certain conditions are met, Medicare offers limited coverage for Medicare beneficiaries who require Skilled Nursing Care or rehabilitative care services. For days 1–20, Medicare will pay 100% of covered services; for days 21–100, you or your loved one will need to pay a daily copayment. The daily copayment can change each year. In 2011, it was $141.50 per day. To receive coverage, you or your loved one must have been admitted to a hospital for at least a three-night stay just prior to receiving care from a Medicare-certified Skilled Nursing Care center (SNF). Learn more about paying for care. Myth: Residents in Skilled Nursing Care centers are not treated well by the staff. Fact: The overwhelming majority of Skilled Nursing Caregivers work in the long term and post-hospital care field because they want to help people and make a difference in patients’ lives. The ratings for compassionate, expert medical care are the highest they’ve ever been. According to the 2011 Survey of Customer and Employee Satisfaction in Nursing Homes, 88 percent of residents are satisfied with the quality of their care, and 87 percent of residents and their family members would recommend their Skilled Nursing Care or rehabilitation center, based largely on the care, concern and competency of the staff. U.S. Department of Health and Human Services: Centers for Medicare & Medicaid Services, Medicare Coverage of Skilled Nursing Facility Care, http://www.medicare.gov/NHCompare/static/Interim/PDF_Interim.asp?Language=English&Type=Pub&PubID=10153, September 2007, available at http://www.medicare.gov/NHCompare/static/Interim/PDF_Interim.asp?Language=English&Type=Pub&PubID=10153, downloaded October 7, 2011. Medx Publishing, Medicare Premiums and Coinsurance for 2011, available at http://www.medicare.com/medicare-coverage-basics/medicare-premiums-and-coinsurance-for-2011.html, accessed October 7, 2011. U.S. Department of Health and Human Services: Centers for Medicare & Medicaid Services, “About Medicare Coverage”, available at http://www.medicare.gov/NHCompare/static/tabSI.asp?language=English&activeTab=3&subTab=17&version=alternate, accessed October 7, 2011.